(b) DNT. The Mind Garden website does not place cookies (or any other technology) that tracks your web browsing across sites nor do we allow third parties to do so. Your DNT setting does not affect this. (c) Mind Garden's Use of Your Information. If you purchase a product or service from Mind Garden, you input certain personally identifiable information on the order form. You must provide contact information (such as name, email, and shipping address) and financial information (such as credit card number and expiration date). This information is used for billing purposes and to fill your orders. Mind Garden verifies customer-provided credit card information with a third party prior to order processing. We store your contact information so that we can use it to contact you should problems arise or for customer service support of mindgarden.com. Mind Garden may also use your address and the like for Mind Garden to follow up with you on your purchases and areas of potential interest. Mind Garden may also store and use the data it receives to provide and improve its products over time. (d) Service Providers. In order to provide users with the best possible online experience, Mind Garden works with service providers. Payment processors allow users to pay electronically. These processors (such as Intuit Merchant Services and PrestaShop) collect certain information from users and you should consult their privacy policies to determine their practices. Various technology infrastructure companies also help Mind Garden serve its users online (such as internet service providers/bandwidth providers) and have access to various data and its transmission. In order to understand our users’ needs better, Mind Garden uses third party analytics providers (such as Google Analytics). In the course of performing work for Mind Garden, our software and database developers also may come into contact with user data. Please know that while we listed some of our service providers here, these may change and while we will do our best to update changes here, it may take us a while. The providers listed serve as examples only. (e) When Disclosure May Be Necessary. Mind Garden may disclose your information if required to do so by law or in the good faith belief that such disclosure is reasonably necessary to: (i) comply with legal process; (ii) enforce the Terms of Service; (iii) respond to claims that any content related to or posted by you violates the rights of third-parties; or (iv) protect the rights, property, or personal safety of Mind Garden, its users and the public; (v) comply with certain federal, state, local or other government regulations that require that we disclose such information. In such cases, we will use reasonable efforts to disclose only the information required under applicable law. (f) Specific Information Not Shared. 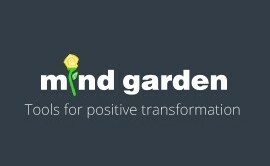 Mind Garden receives the name and email addresses of its Customers and, often, Participants of Customer Created Inventories for the purpose of being able to provide Customers and their Participants with reports, scoring and evaluations related to those Inventories as well as other services and products. Mind Garden does not share this information with anyone other than the Customer and the Participant and its service providers. (g) Other Disclosures. In certain circumstances, such as to support research, product development, and to support authors, Mind Garden may share data with identifiers such as name and email address removed. (i) Encryption. When a user accesses the assessment platform (the current platform is called Transform), pays for a Mind Garden product or service, or places an order online, the user's personal information (name, address, etc.) and credit card information are processed and encrypted by offsite, secure servers using industry-standard SSL encryption. SSL is short for Secure Sockets Layer, a protocol developed by Netscape for transmitting private documents via the Internet. (ii) Other Security Practices. We undertake a range of security practices including measures to secure web access to data, limit data base access to essential staff members, and undertake efforts to address security vulnerabilities for various tools and databases. We also have policies in place to prohibit employees from viewing personal information without business justification. However, by providing an online service, there are risks. The technical processing and operation of the Site, including your content, may involve (1) transmissions over various networks; and (2) changes to conform and adapt to technical requirements of connection networks or devices. No method of transmission over the Internet, or method of electronic storage, is 100% secure. Therefore, while we strive to use commercially acceptable measures to protect your personal information, including physical access controls, passwords, access logs, and similar measures, we cannot guarantee its absolute security. Mind Garden does not sell, trade, rent or otherwise give to any entity or organization other than the Customer or our service providers any individually identifiable information given by a Participant in response to an Inventory. In other words, if a Participant gives responses to an Inventory, then the Customer who provided that Inventory to the Participant may receive from Mind Garden information that is individually identifiable so that the Customer may properly collect research data, counsel or advise the Participant as appropriate based on the scoring or evaluation of the Inventory. (j) Passwords. The Mind Garden login method is such that Mind Garden has no access to your password because it is encrypted. You are able to change your password at any time with the profile feature in Transform. If you do not remember your password you must use the "I forgot my password" feature on the login page, which will send a new password only to your email previously provided to Mind Garden. Mind Garden may be required to disclose information to the government or others. This may happen if we receive a valid search warrant, subpoena, court order, or other legal mandate. In certain other limited situations, Mind Garden may disclose your Data such as when needed to protect the rights, privacy, safety, or property of Mind Garden or its users and to enforce our terms of service. If required by law, you may request access, correction, or deletion of your personal data. Such a request will be considered only if you provide sufficient information to identify data related to you. Mind Garden is a global organization and operates in different countries. Privacy laws and common practices vary from country to country. By using Mind Garden services, you consent to the transfer of the information collected to Mind Garden or its third-party service providers in the United States and other places where our distributed, third party network exists (which is in several countries around the world). Mind Garden retains information for the amount of time the information is needed to fulfill the purposes described in this Policy unless a longer retention period is required by law or regulations. For assessments, data is typically retained for at least one year. If you still have a question, just call us at (650) 322-6300 USA or use our contact form here.